Custom orders are always fun, because by their very nature each one is unique and that makes for a challenge. This one was no exception… Our client had a home with a small decorative brick pattern near the top of the front wall of the house, but the pattern was too small and they were looking for something nicer to cover it and beautify the home. Hide the original brick work. 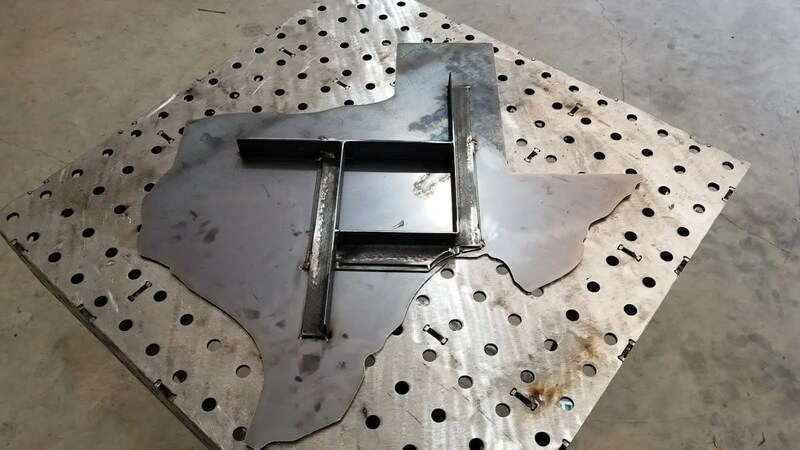 Incorporate the outline of the state of Texas. Incorporate a star to designate the location within the state. Make the piece multi-dimensional for a 3D effect. Be able to disassemble the art for future maintenance. 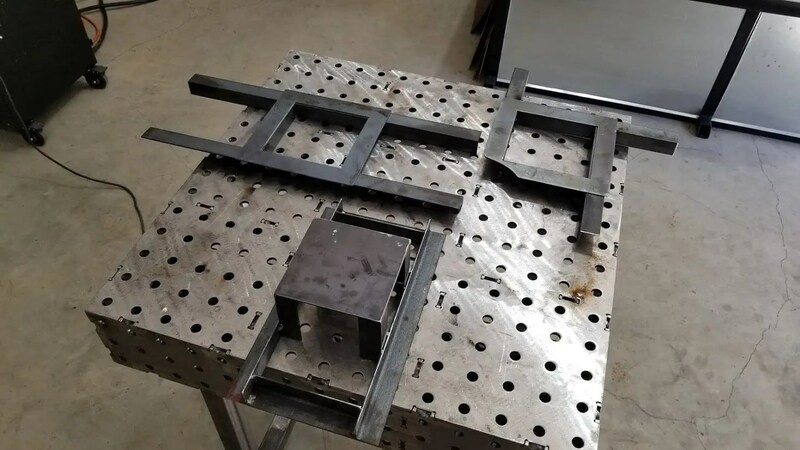 The challenging part was developing a frame system that would fit tightly together. 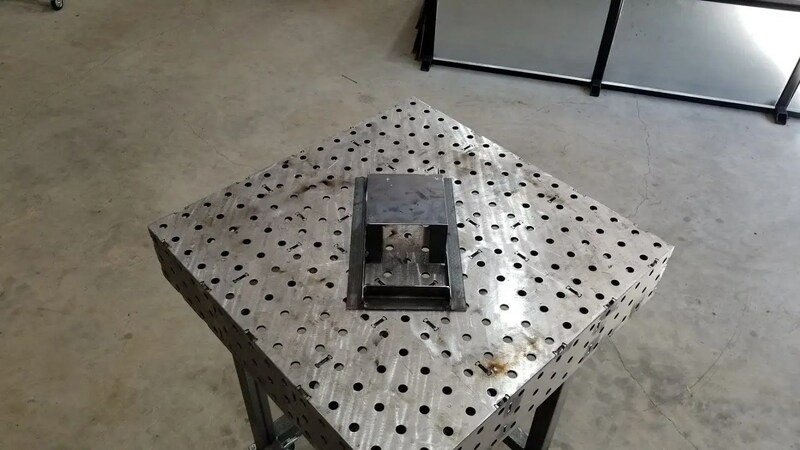 Although this appears to be a simple piece of art, there was a lot of complexity in the design, beginning with a base component for mounting to the wall. 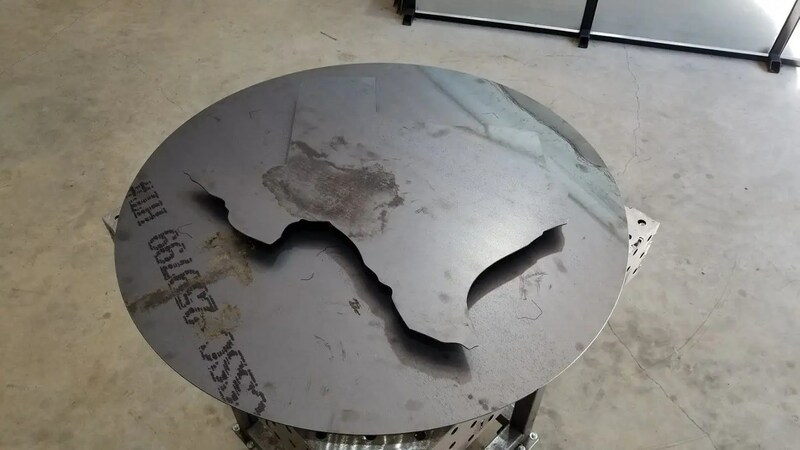 In addition, there were two more frames constructed for the back of the circle and the Texas shapes. Which was then capped off by the Texas. 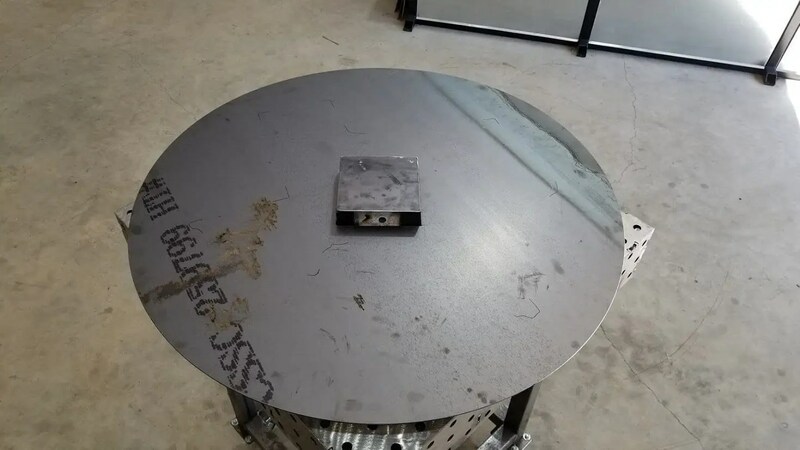 A system of hidden pins were developed for holding the pieces together once installed. 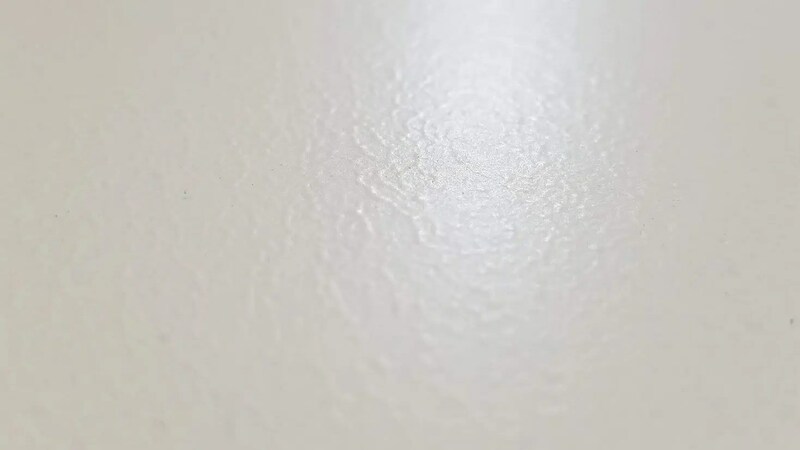 The pieces were primed with multiple coats, then painted. 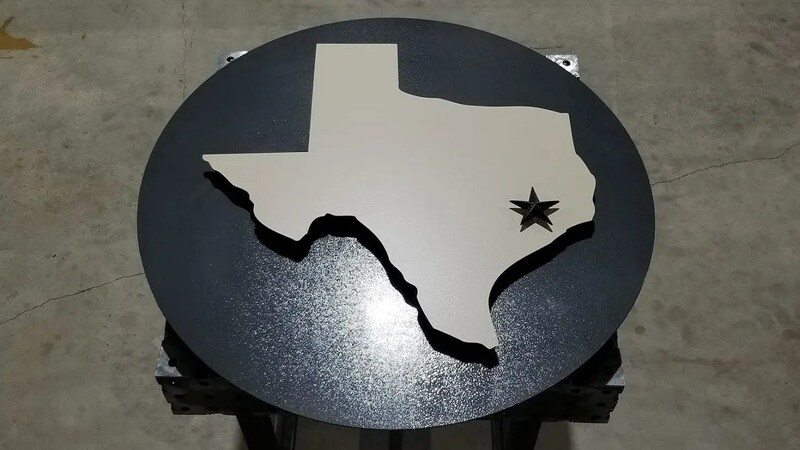 The black circle which serves as a background was painted with hammered black, and the Texas in the foreground was painted with a standard tan latex paint required for all trim in the subdivision by the HOA. 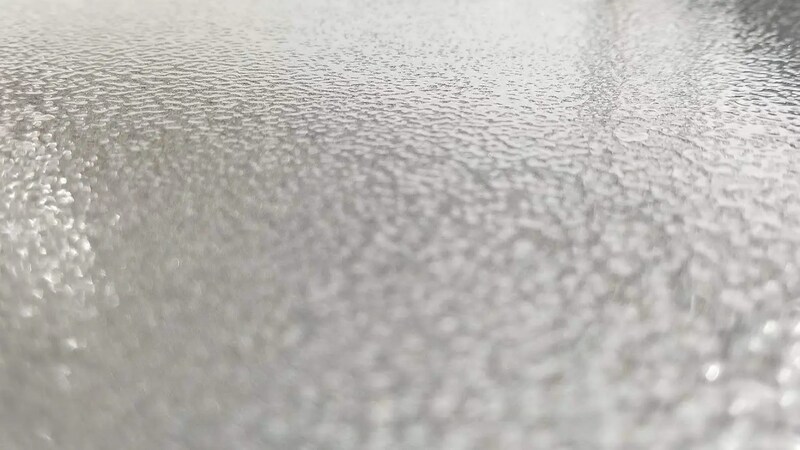 The hammered black was sprayed on, but the latex was rolled to create another texture to compliment the hammered effect. 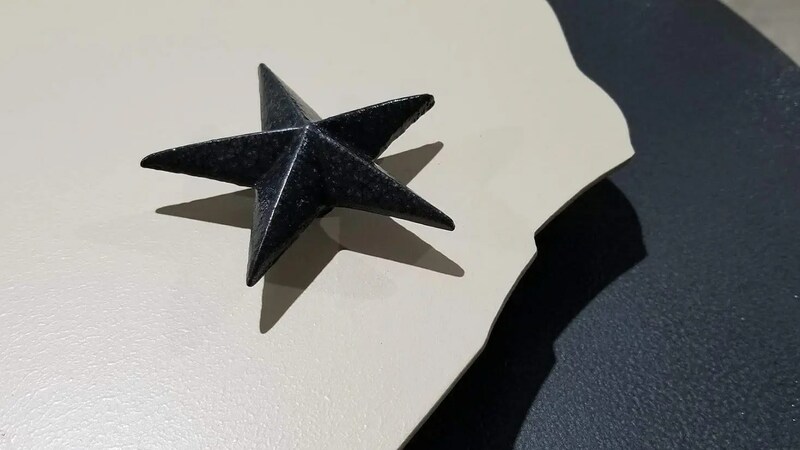 A small star was also fabricated for insertion in the Houston area. The star was painted, and had a hole drilled and tapped so it could be attached with a single bolt from the rear. 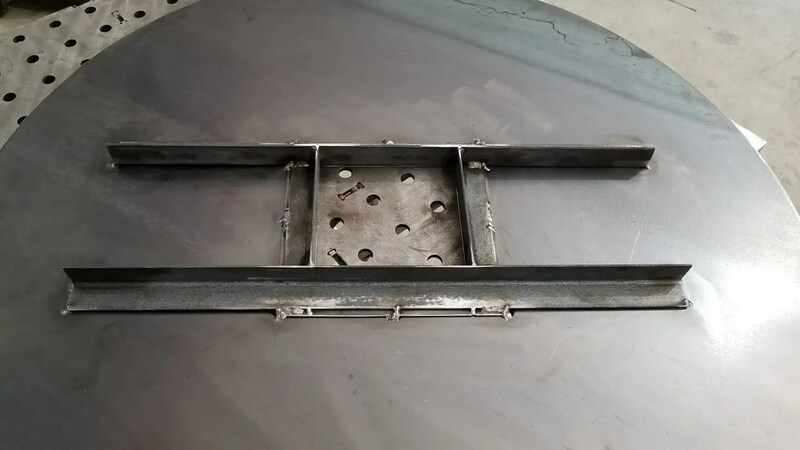 Although the artwork appears very simple, there were over 25 pieces of steel, 100 welds, and many hours of design and construction involved in it’s creation.